One of the world’s leading economic consulting firms, Compass Lexecon provides law firms, corporations and government clients with clear analysis of complex issues. We have been involved in a broad spectrum of matters related to economics and finance – providing critical insight in legal and regulatory proceedings, strategic decisions and public policy debates. Our experience and expertise apply to virtually any question of economics, in virtually any context of the law or business. Complex arbitration proceedings require experts with specialized insight into the economic and financial issues at the center of these disputes. With considerable expertise in a wide range of arbitration matters as well as deep industry experience, our international arbitration practice provides authoritative analysis in complex investment and commercial arbitration cases involving multinational parties. 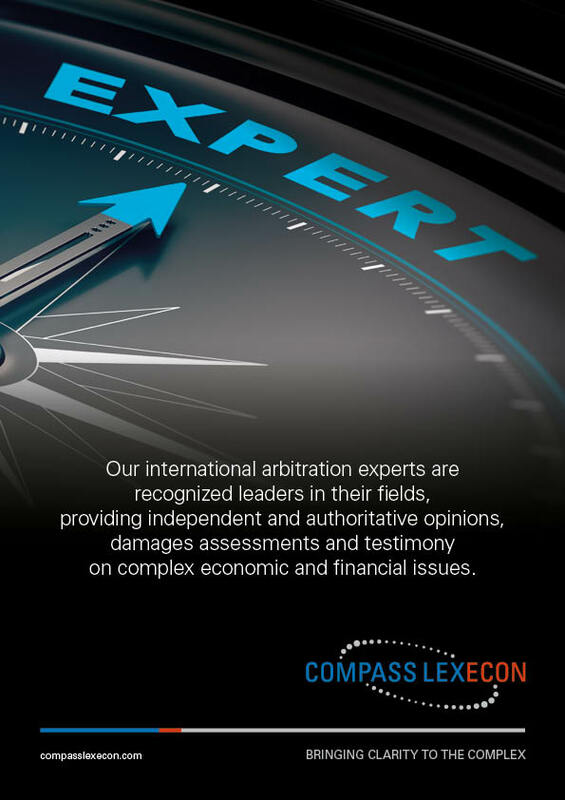 Bringing to bear our extensive experience in all areas of international arbitration, Compass Lexecon’s economists and financial experts deliver independent economic analysis, valuation opinions, damages assessments, regulatory opinions, expert reports and arbitration testimony. Our seasoned expert team possesses critical first-hand knowledge of government decision-making processes related to a wide range of matters - including those at the center of commercial, investor-state and political risk insurance disputes.